When you’re sick with the cold or flu, all you want to do is crawl into bed. But the cruel irony is that being sick can make it harder than ever to fall and stay asleep. Between nostrils that leak like a faucet, a hacking cough, and the inability to breathe through your nose, illness-induced distractions can force you to toss and turn all night. So what’s a tired, snotty, coughing sick person to do? Implement the following five strategies to increase your chances of getting a good night’s sleep. Mind what you eat and drink. ·Drink plenty of water throughout the day. This helps your nasal passages and throat stay hydrated, which can ease the intensity of a sore throat or stuffy nose. The more you reduce your congestion, the better you’ll sleep—and staying hydrated is one of the best tips around for taking the edge off congestion. ·Avoid drinking alcohol. While it might help you relax, alcohol is notorious for disrupting sleep throughout the night. It can also exacerbate inflammation in your sinuses, further inhibiting your chances of getting a comfortable night’s sleep. ·Drink some hot (decaf) tea or have a hot bowl of soup shortly before hitting the sheets. The steam from hot food or drinks can help soothe your nasal passages and thin mucus, which can make it easier for you to breathe and calm a runny nose, cough, and sore throat. When you can breathe better and you’re coughing less, you’re more likely to fall and stay asleep. ·Keep your bedroom cool. It may be tempting to crank the heat when you’re sick, but lower temperatures are more likely to trigger your body’s sleep response. Setting the thermostat anywhere between 60 and 70 degrees should help maintain a sleep-inducing temperature. ·Keep your bedroom dark. A darkened space signals to your body that it’s time to sleep. Dim the lights in the hours leading up to bedtime, close the curtains over your bedroom windows, turn off any electronics that might otherwise emit light, and consider using a sleep mask if light is still making its way into your sleeping space. ·Make your bedroom as relaxing and inviting as possible. Play some soothing music, pull out your favorite comforter, clear away clutter, and do everything else you can to create a space that truly invites sleep. Hit the showers before bedtime. Taking a hot shower right before climbing into bed promises several benefits. The steam from the hot water helps loosen up mucus in your sinuses and chest and soothes your nasal passages and throat, which can help alleviate symptoms of congestion that might otherwise have you hacking all night. Additionally, the drop in body temperature that occurs after you step out of a hot shower helps signal to your brain that it’s time to hit the sheets. When you’re sick, your sleep position makes a big difference on your ability to fall and stay asleep. 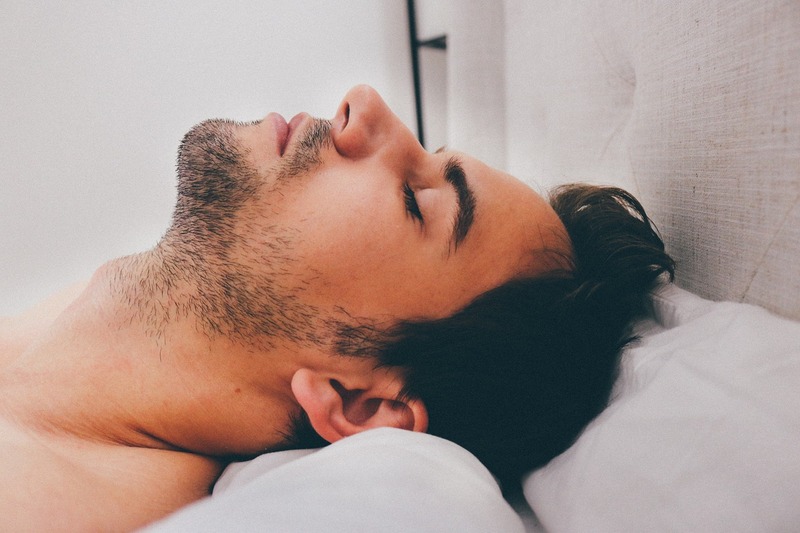 If you’re suffering from a cold or the flu, then you’ll give yourself the best chance at sleep by propping your head up so it’s higher than the rest of your body. This helps alleviate some pressure on the sinuses and better allows mucus to drain through the nasal passages, which can make it easier to breathe. Use multiple pillows to create a wedge that lifts and supports your shoulders, neck, and head. Use a humidifier in the bedroom. Humidifiers introduce additional moisture into the air, which can be great for dry, scratchy airways. Not only can a humidifier help hydrate your nasal and throat passages, but it can also help loosen up mucus in your sinuses. This can make it easier to expel congestion so you don’t end up hacking all night long. Just make sure the humidifier is clean so it’s not releasing mold into the air. Sleep is essential for recovering from illnesses such as the common cold or flu. So it’s important to do whatever you can to up your odds of falling and staying asleep. Armed with the preceding strategies, you’ll significantly increase your chances of sleeping soundly even when you’re sick.